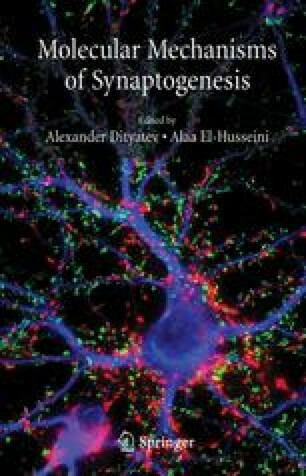 Glutamate receptors on central nervous system (CNS) synapses are directly or indirectly associated with various scaffold proteins, most of which are localized at the postsynaptic density (PSD). Although the function of a number of these proteins is still unknown, it is now generally accepted that some regulate dendritic spine morphology and synapse function. Scaffold proteins bind and recruit proteins that regulate actin cytoskeleton remodeling and signaling transduction, thus linking neurotransmitter receptor activation to intracellular cytoskeletal and signaling modifications. Interestingly, mutations of some of these scaffold proteins have been implicated in the manifestation of severe forms of mental retardation and autism, which suggests that they are fundamental elements for synapse and dendritic spine structure and function. The aim of this review is to summarize recent findings concerning the scaffold protein functions involved in regulating the morphology of dendritic spines and, consequently, the function of excitatory synapses.